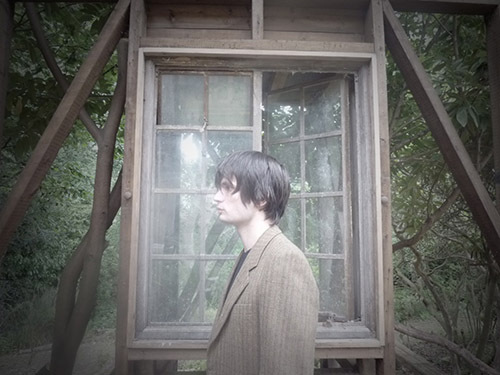 Jonny Greenwood is a composer, guitar player and programmer. With programming? Well, a friend of Nigel Godrich (our producer) told him I should use Max, because it's what they were teaching at his music college. He was right! It was the first time I got to reconnect properly with computers. I used to love them - I grew up programming home computers for fun, playing around first with Basic, then these primitive hex assemblers. Just simple bits of machine code - the closer I got to the bare bones of the computer, the more exciting I found it. Encountering computers in recording studios was always a bit disappointing when we were starting out. I found that early music software really off-putting: cubase, logic, all those programs seemed desperate for you to write in 4/4 at 120 bpm and loop the first 4 bars. You were always being led down a certain route - despite the supposed limitless directions you could go in. How do you know when something you are working on is finished? When do you like to use chance or random processes? The whole time. The RTC toolkit is a great for that. Though human random processes are also very interesting to me - especially when string orchestras are involved, you just get so much unrepeatable complexity so quickly. What’s something that you would like to be able to do with technology in your work but you can’t at the moment? Zero latency would be nice.....and not to have Nigel Godrich (our producer) saying every five minutes when we're recording: "that's a great sound from Max, but could you get rid of the clicks". Actually, that's not as true as it used to be. The cycling 74 forums are just wonderful. Full of kind encouragement and sharp thinking. Outside of that, I just rely on the mistakes I make when copying other peoples ideas, and then following wherever they lead. What is the most difficult obstacle you need to overcome in order to do your thing? Yes, thanks a lot for that interview, however mini it is !